The Academic Advisement Center provides information, guidance and advisement to Associate in Arts (AA), Exploratory and Developmental Education students. The Advising Specialist is responsible for providing direction, information, personal attention, care and support to students in the development and planning of their educational pursuits at Santa Fe College (SF). The Academic Advisement Center seeks an Advising Specialist to provide information, guidance, personalized advisement, registration assistance and support to students. The Advising Specialist prepares students to achieve their professional and educational goals by helping students explore academic options, develop academic plans for success, register for coursework and make timely progress to persist toward degree completion. The Advising Specialist must possess a student-centered advisement philosophy and demonstrate the ability to work well with students, faculty and staff at all levels within a diverse, multi-cultural, collaborative and creative environment. •	Assist in all Advisement efforts, including academic advisement, as well as technological innovations to enhance, expand and improve advisement such as distance advising. •	Assist incoming students with placement, academic and career path guidance, and initial course selection. •	Work primarily with an assigned case load of students, responding to at-risk reporting with appropriate student outreach and follow-up. •	Participate in advisement initiatives including presenting to small and large groups of students during workshops, class presentations, as well as assisting with special events such as Gator Day which may be conducted during evenings and weekends. •	Serve as a liaison between the Academic Advisement Center and academic departments at SF and University of Florida. •	Build partnerships and collaborate with areas across campus to provide referrals to appropriate campus resources (i.e. tutoring, counseling, career services, Financial Aid, SF’s Food Pantry) and community resources, helping to achieve advisement objectives. 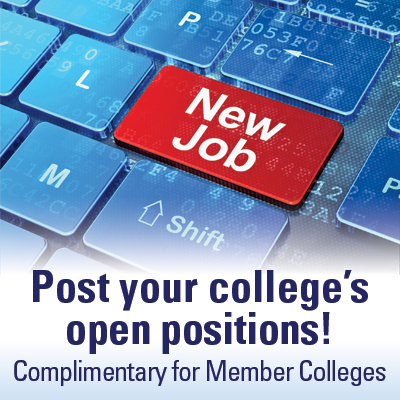 •	Serve on college-wide committees on behalf of the Academic Advisement Center. •	Assist with student success initiatives, which includes using an early alert system for academically at-risk students, as well as progressive advisement. •	Interpret and follow detailed state and college regulations, policies and procedures. •	Strictly honor the privacy and security of student records and other sensitive information according to appropriate state, federal and college regulations, policies and procedures. Required: A Bachelor’s degree in a relevant field with two (2) years of related work experience in academic advisement, student affairs, student services, counseling, mentoring and/or a related area is required. Preferred: A Master’s degree in Student Personnel, Educational Leadership, Counseling and/or a relevant field is preferred, as is experience with college academic advising. Bilingual applicants are strongly preferred. •	Able to effectively handle confidential and proprietary information. •	Systems & Software - proficient level of knowledge of Microsoft Office and/or relevant position software programs. •	Team Orientation & Interpersonal – highly motivated team player with ability to develop and maintain collaborative relationships with all levels within and external to the organization. •	Multi-task - Ability to expeditiously organize, coordinate, manage, prioritize and perform multiple tasks simultaneously, to swiftly assess a situation, determine a logical course of action, and apply the appropriate response. Application Process: All applicants must complete the SF Employment Application, submit a letter of intent, an up-to-date resume, advising philosophy as well as college transcripts through the job portal to be considered for this position. College transcripts are required for any college coursework. If you do not have college coursework, proof of high school completion or equivalent must be uploaded as unofficial transcripts. Unofficial transcripts are only accepted for review purposes, official transcripts are required prior to any offer of employment being made.